What does Swoove© mean? To sing, whoop & move! What is Swoove Fitness©? A singalong exercise class. How is it different to any other exercise class? 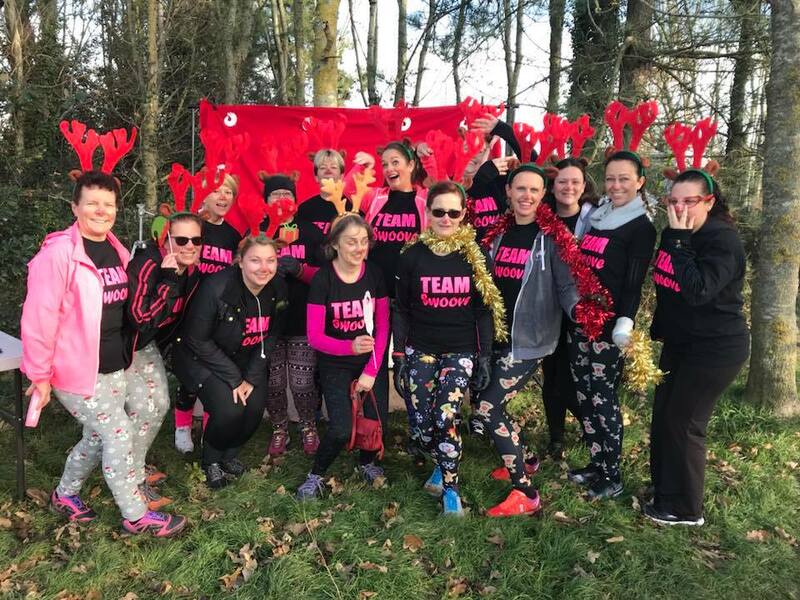 Vocalising burns calories and engages the abdominal muscles so why not make this the base of an exciting, fresh and most of all unadulterated fun exercise class. On average we burn around 200 calories more and also increase lung capacity by using our vocals. Each song is like doing 50 sit ups without ever doing one…whoohoo! It really is as easy as that. No gimmicks, just an hour that flies by…literally! Oh and you don’t need to be able to sing, calories really don’t care that you’re in tune…phew I hear you say! 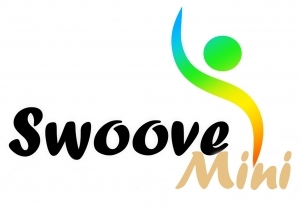 There are Swoove Fitness© classes for all ages & abilities, starting with Swoove Mumma© right through to Swoove Select©. Please click on each different class for more information. Swoove Fitness is proud to be in partnership with Sound Dynamics our audio partner in class. For pregnant ladies who would like to do a gentler version of Swoove©. The class will consist of a 10 minute warm up, a 25 minute workout & a 10 minute cool down. The benefits are wonderful for both baby & mumma as the little one listens to the singing & soft whooping of his mumma. Start bonding with your bump & keep fit at the same time. ‘Dads to be’ are very welcome as we love the lower dulcet tones in class, plus it’s a lovely thing to do with your partner….very memorable! This is also a great place to meet new mums & dads that have similar interests to you. Suitable for blooming mums up to 37 weeks pregnant, as long as your doctor has given you clearance to exercise. Class duration: 45 minutes, term time only. 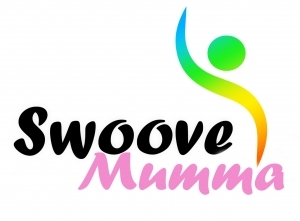 For more information on classes please click HERE, or for details on how to become a Swoove Mumma© instructor please click HERE. Swoove Sling is for mums & dads & their 0-6 month olds. You wear your baby in a sling & gently sing and dance. Feel free to let your instructor know if there is a special song you & your little one love. For more information on classes please click HERE, or for details on how to become a Swoove Sling© instructor please click HERE. A perfect follow on from Swoove Mumma© & a lovely way to stay in touch with your friends and their babes. If you are new to Swoove© then it’s a lovely way to meet new mums…..we are not clicky…..we love new faces! The class will help you lose that dreaded baby weight right form the word go & consists of a 15 minute warm up, a 20 minute workout and a 10 minute cool down. You can wear your babe in a sling if you feel more comfortable, but they are not a necessity. Dads are encouraged to come & bond with their little bundle of newness! If you’re struggling with establishing a good sleep pattern this class will help relax your baby. It also helps with bonding & creating a fun & playful environment for your little family. Not only will you have 45 minutes to sing, gently whoop & move with your little one, but you can take these routines home to help with a calmer bedtime. The instructor will adapt the class for the older babies (as they get heavier!) Don’t worry you won’t end up with massive bicep muscles!! If you’re a flying solo mum please speak to your instructor about bringing pre school age siblings to the class. We appreciate child care is expensive so we’d like you to be able to bring them if you want to. Suitable from birth – 1 year. There are two separate courses birth – 6 months & 6 months – 1 year. Please contact your local instructor to find out more information. 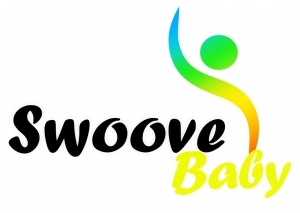 For more information on classes please click HERE, or for details on how to become a Swoove Baby© instructor please click HERE. This is perfect for mums wanting to workout with their little one still in their sights. They can play in a safe environment whilst you get fit, make friends and have a giggle! They can join in if they are older or play with the other mini swoovers. Feel free to bring toys that they like otherwise there are toys and musical instruments supplied by the instructor. Class duration: 1 hour, term time only. For more information on classes please click HERE, or for details on how to become a Swoove Mini© instructor please click HERE. We’ll wear your energetic pixies out by getting them to Swoove© for 45 minutes to Disney & animation songs. A 5 minute simple & fun warm up will be followed by 30 minutes of singing, whooping & moving to 3 easy, fun songs. The last 10 minutes of the class will be spent “cooling down” or rather “calming down”….ready for a good night’s sleep! Parents will be invited to watch a class when it’s half term & a show at the end of each term. The instructor will advise on these dates. Suitable for 4 – 6 year olds. 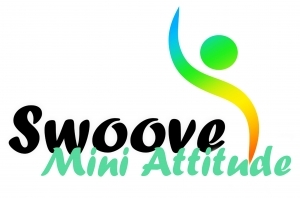 For more information on classes please click HERE, or for details on how to become a Swoove Mini Attitude© instructor please click HERE. Pop songs, musical theatre & film soundtracks will be the basis for Swoove© Attituders. Learn the hottest street & dance moves along with “sick” (!) vocals. This is a fab workout & a great way for your “Attituder” to make friends….it also gets them off any electronic device they may normally be glued to! A 5 minute warm up will be followed by 30 minutes of singing, whooping & moving to the latest chart hits & popular songs. The last 10 minutes of the class will be spent stretching those ever growing limbs – for boys in particular this can aid growing pains. Suitable for 7-14 year olds. For more information on classes please click HERE, or for details on how to become a Swoove Attitude© instructor please click HERE. For 10-15 year olds. The instructor will break down the choreography & your jammer will learn the lyrics, improving their singing & getting them fit at the same time! Suitable for 10 – 15 year olds. For more information on classes please click HERE, or for details on how to become a Swoove Jam© instructor please click HERE. For parents, grandparents, children, grandchildren & carers. Mixing some of the best elements of all the Swoove© classes. Get the whole family fit & off the sofa! Class duration: 1 hour, half term & school holidays only. 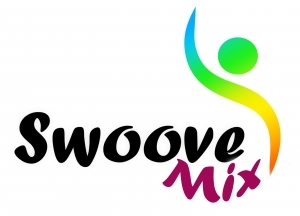 For more information on classes please click HERE, or for details on how to become a Swoove Mix© instructor please click HERE. For children & young adults with additional needs. Class duration: 40 minutes – 1 hour, depending on class needs, all year round. 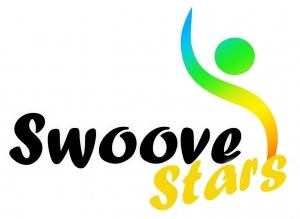 For more information on classes please click HERE, or for details on how to become a Swoove Stars© instructor please click HERE. For children & young adults that go to Swoove Stars, Swoove Mini Attitude and Swoove Attitude Classes. 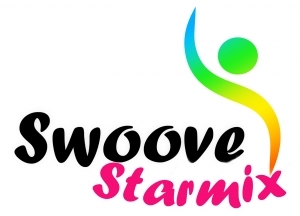 For more information on classes please click HERE, or for details on how to become a Swoove Starmix© instructor please click HERE. 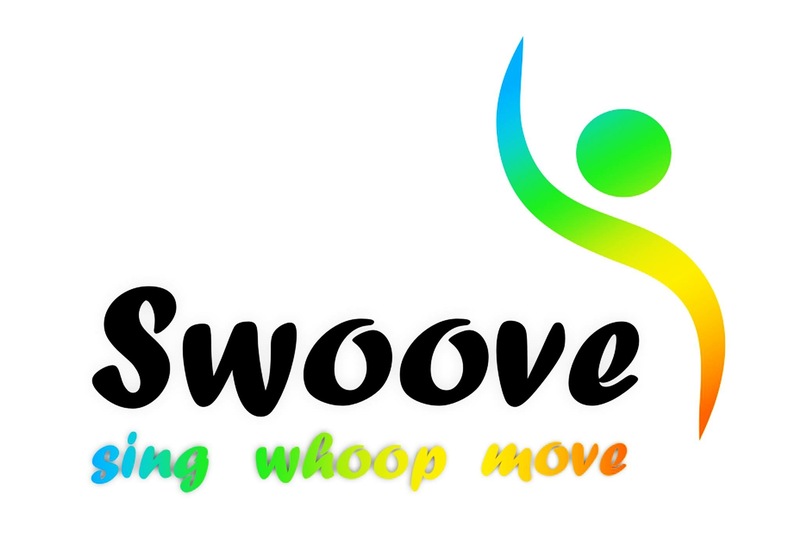 The original Swoove Fitness© class is aimed at 15 – 65 year olds (the age is a guide only….you know how fit you are). The class will change roughly every 10-12 weeks, although the odd guest number will be thrown into the mix to keep everyone on their toes! Each instructor will teach the same hour, allowing you to drop into any Swoove Fitness© class in the world and make you feel confident about your workout. They may have the odd one off number to surprise you….we wouldn’t want you to get bored now would we?! Suitable for 15 – 65 year olds. Class duration: 1 hour, all year round. For more information on classes please click HERE, or for details on how to become a Swoove Fitness© instructor please click HERE. Swoove Life is for dementia patients. This class is done on chairs, working the arms & legs aswell as getting them singing. Music has scientifically proven to help stimulate the brain & Swoove will make the patients feel good about themselves. Class duration: 20 minutes, all year round. This class is not for the faint hearted. Swoove X© is extreme. Weights are worn on the wrists (& on the ankles if you really want to push yourself). The music is high energy & the whooping intense. 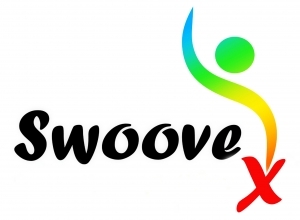 If you like insane fitness classes you’ll LOVE Swoove X©. The first 10 minutes is spent warming up….then it goes mad! The 40 minute workout will push you to the limits, but we guarantee it will fly by. Tracks will include Maverick Sabre’s latest hit “Walk Into The Sun” & classic dance tracks from the likes of Prodigy & Fat Boy Slim. You will then desperately want the 10 minute cool down to think about what you’ve just done!!! 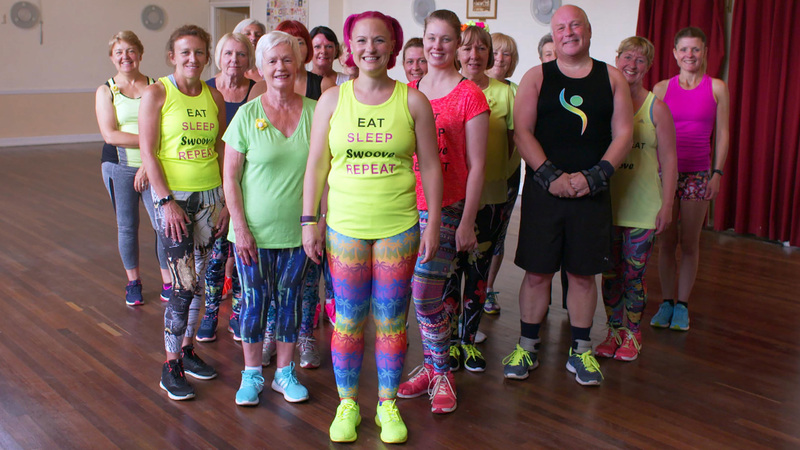 This is Swoove Fitness founder Esther Featherstone’s favourite class…..in fact if you keep your eye out you may well share a sweaty Swoove X© moment with her! Be sure to blog about it if you do……! For more information on classes please click HERE, or for details on how to become a Swoove X© instructor please click HERE. Is in the dark with disco lights & glow bracelets! Please note if you suffer with epilepsy this class will probably not be for you. For more information on classes please click HERE, or for details on how to become a Swoove Ignite© instructor please click HERE. Swoove Strength is for post injury clients. Work on your core strength to improve injured muscles & regain confidence in the movement. For more information on classes please click HERE, or for details on how to become a Swoove Strength© instructor please click HERE. 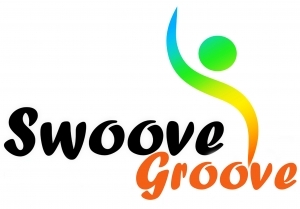 From Olly Murs to Alfie Boe, Pitbull to Frank Sinatra, the Swoove© Groovers will enjoy a fab workout physically & vocally. A 15 minute warm up will ensure the vocals are out of this world….the instructor may even work on some harmonies! The 30 minute workout will include classic tracks by the Ratpack right up to current chart hits. The class concludes with a 15 minute cool down. Suitable for 65 year olds & over – we’re all different, so please take this as a rough guide only. 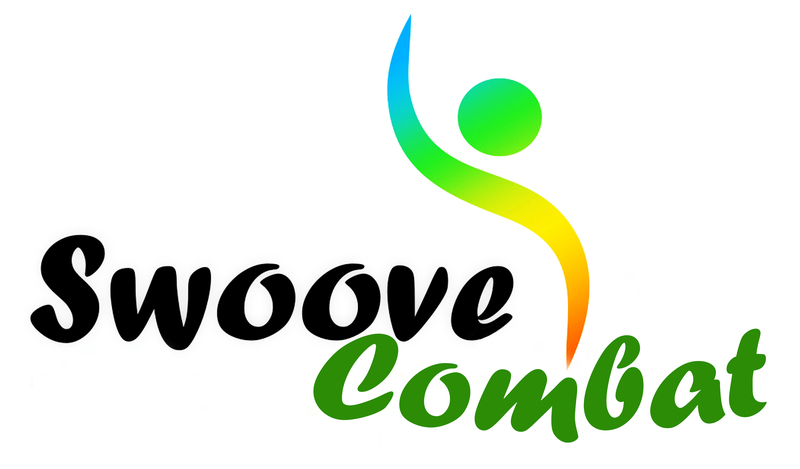 For more information on classes please click HERE, or for details on how to become a Swoove Groove© instructor please click HERE. Is Swooving in the water! This class is great for anyone with injuries & for pregnant ladies, but anyone can take part in the class. 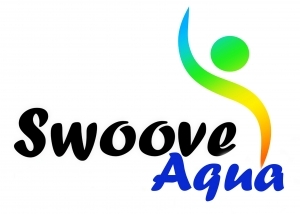 For more information on classes please click HERE, or for details on how to become a Swoove Aqua© instructor please click HERE. Swoove Box is a boxing class. Vocalise, shout, count the punches and the boxing terms “jab, hook, 1, 2, 3, 4, and uppercut”! Get rid of all the days stress and really tone up those arms! Class duration: 45 minutes, all year round. For more information on classes please click HERE, or for details on how to become a Swoove Box© instructor please click HERE. Is Swooving on stationary bikes! Perfect for gyms & leisure centres. For more information on classes please click HERE, or for details on how to become a Swoove Cycle© instructor please click HERE. 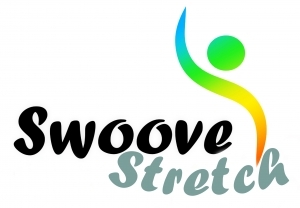 Stretch & Swoove – the first half hour is Swoove Stretch & the second is Swoove Fitness. For more information on classes please click HERE, or for details on how to become a Stretch & Swoove© instructor please click HERE. 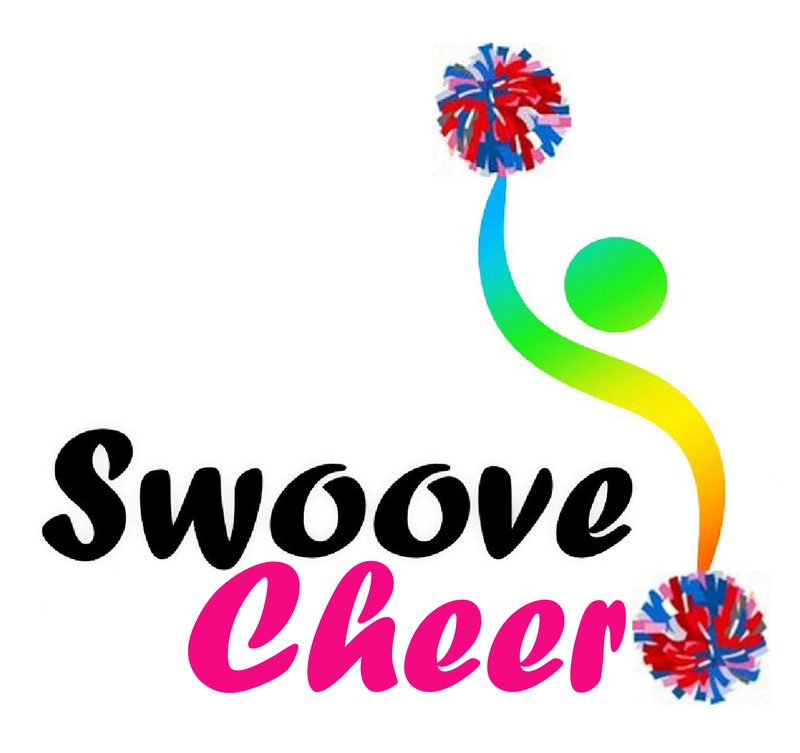 Swoove Cheer – cheerleading meets Swoove! “Give us a S, give us a W……. !” Expect high kicks & pom poms galore in this class. For more information on classes please click HERE, or for details on how to become a Swoove Cheer© instructor please click HERE. Swoove Circuits is a circuit training class whilst vocalising your way through each section. A combination of boxing, skipping, singing (of course! ), planking, weight work & more. For more information on classes please click HERE, or for details on how to become a Swoove Circuits© instructor please click HERE. Swoove Skip – swoove with skipping ropes. Great for your arms & legs, this is not for the faint hearted! For more information on classes please click HERE, or for details on how to become a Swoove Skip© instructor please click HERE. Swoove Step – swoove on step blocks. This class is great for gyms & leisure centres. If you love step then you’ll love this. 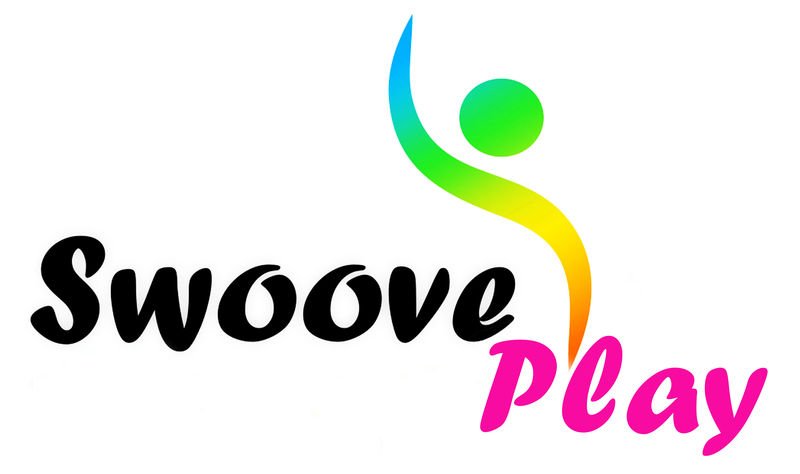 For more information on classes please click HERE, or for details on how to become a Swoove Step© instructor please click HERE. Swoove Drum – swoove with drumsticks to really work out those arm muscles. This class not only improves your singing & gets you fit, but it really helps with your rhythm & musicality. For more information on classes please click HERE, or for details on how to become a Swoove Drum© instructor please click HERE. Swoove Play is for 0-4 year olds. Swoove Play is centred around two puppets, Sunny & Jasper. The little ones are entertained as they sing & dance their way through popular songs. This class is great for parents & their little ones as play is such an important part of parenting. Mums & dads can do these songs at home aswell. Suitable for parents/grandparents/carers & their 0-4 year old. If you are a Nursery Leader and would like a session of Swoove Play at your nursery please contact Esther or if you would like to train one of your employees to become a Swoove Play instructor please contact Esther about becoming a part of the Swoove family…HERE. For more information on classes please click HERE, or for details on how to become a Swoove Play© instructor please click HERE. Is a conditioning class on the floor with mats. Vocalise & move your way through set poses to a mixture of uplifting & relaxing songs. Strengthen & stretch all your muscles, this class will make you feel 7 foot tall! For more information on classes please click HERE, or for details on how to become a Swoove Stretch© instructor please click HERE. Swoove Combat is a martial arts inspired class, using a mixture of muay thai, karate, boxing and cardiovascular work. This is great for your balance, core and of course for self defence. For more information on classes please click HERE, or for details on how to become a Swoove Combat© instructor please click HERE. Swoove Mash Up is a mixture of 4 different Swoove’s……the instructor decides! You could have 15 minutes of Box, Drum, Stretch and Fitness or 15 minutes of Swoove X, Combat, Cheer and Skip! For more information on classes please click HERE, or for details on how to become a Swoove Mash Up© instructor please click HERE. Swoove Select is swooving with a particular theme. The instructor may choose all 80’s music or music from Abba. You tell your fabulous instructor what music or genre you REALLY love and they will put together a class that is dedicated to this! This will be popular as a charity class so dig deep and get fundraising!!! For more information on classes please click HERE, or for details on how to become a Swoove Hoop© instructor please click HERE.